Brand Pretorius is an accomplished communicator, marketer and leader. Telana joined Brand to discuss what he learnt from his years of leading organisations in the motor industry, specifically about effective communication skills for leading others and sitting on Executive Boards. They cover feedback skills, dealing with conflict, how to confront others, the value of listening, public speaking and how credibility is a critical component to effective leadership and communication. 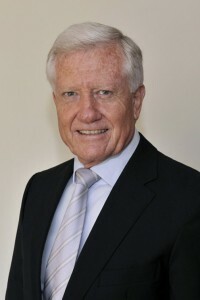 Brand Pretorius attained his M.Com degree in Business Economics at the University of the Free State in 1972, and started his career at Toyota South Africa in March 1973. Following a number of management positions in research, planning, sales and marketing, he was appointed managing director of Toyota SA Marketing in 1988. Under his leadership Toyota became the leader in both market share and customer satisfaction. In March 1995 he joined McCarthy Motor Holdings as chairman and CEO and was promoted to chief executive officer of the holding company, McCarthy Retail Limited, in October 1999. It is widely acknowledged that Brand played a pivotal role in turning McCarthy around after it was declared technically insolvent in 2001, following massive bad debt write-offs in its Prefcor division. He retired as CEO of McCarthy and as and executive director of its controlling shareholder Bidvest, on 1 March 2011. Brand has received numerous national marketing, motor industry and leadership awards including Marketing Person of the Year, Automobil Man of the Year and Boss of the Year. He holds honorary professorships at the University of Johannesburg, University of Pretoria, University of the Free State and an honorary doctorate in marketing from the Durban University of Technology. Brand is a Fellow in Leadership at the Gordon Institute of Business Science and he serves on the board of the READ Educational Trust. He is also the National Ambassador for the Valued Citizens Initiative, as well as of the acclaimed Rally to Read corporate social responsibility program, an initiative he founded in 1998. Brand published his book entitled “In the driving seat – lessons in leadership” in February 2013. According to Nielsen Bookstats it was the most popular business biography in South Africa in 2013 and has been reprinted five times. He is married to Tillie and they have three sons and seven grandchildren.